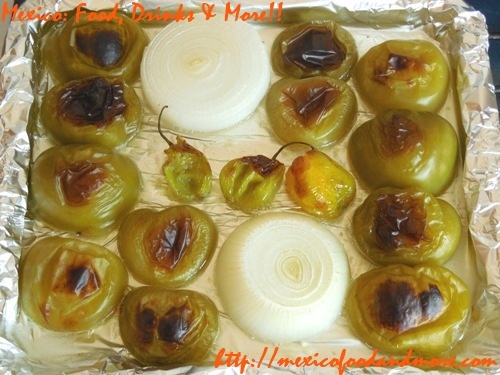 Cut the tomatillos in half and place them cut-side down along with the onion and habanero peppers on a baking sheet lined with aluminum foil. Roast them under the oven broiler until the skins are lightly blackened, about 7 to 10 minutes. Allow to cool slightly. 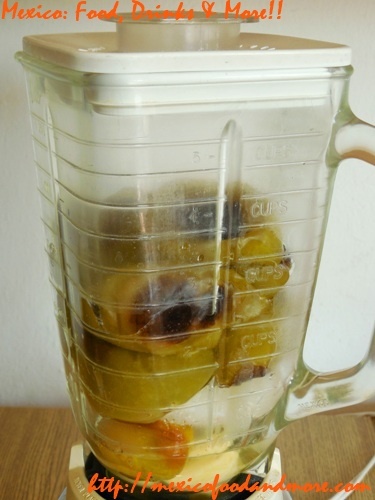 Transfer the roasted tomatillos, onion, and chile peppers to a blender. 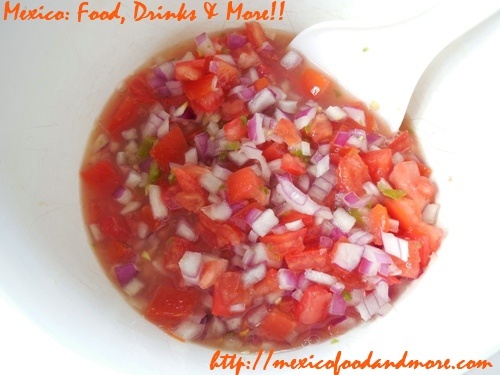 Blend until finely chopped. Season with salt to taste and briefly blend again. 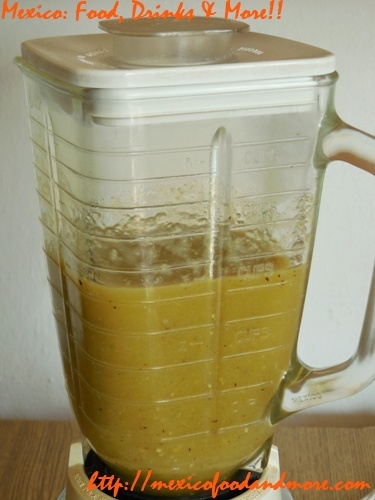 Combine the ingredients, mixing thoroughly, and set aside. *Note: Instead of using canned bayo beans, you may choose to prepare our Bayo Beans recipe (and you won’t need to add the oil, garlic, onion, serrano, hot water, or chicken bouillon powder indicated in the ingredients above). 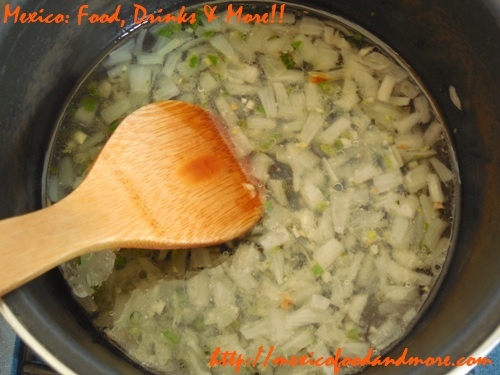 Take 2 cups of your beans, including some of the broth, and mash them in a saucepan set over medium heat. 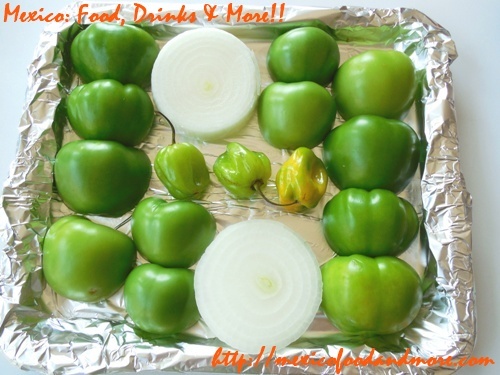 You might need to add a little hot water to get a thinner consistency in order to spread it on the sopes. 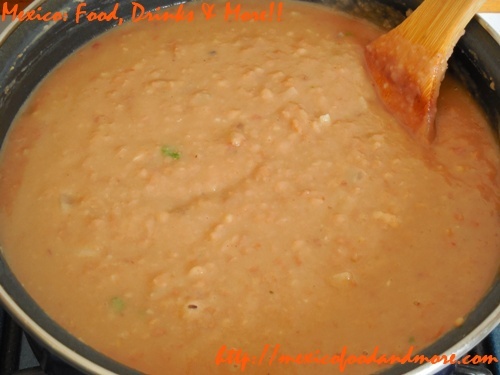 If using canned refried beans, add the vegetable oil to a medium saucepan set over medium heat. 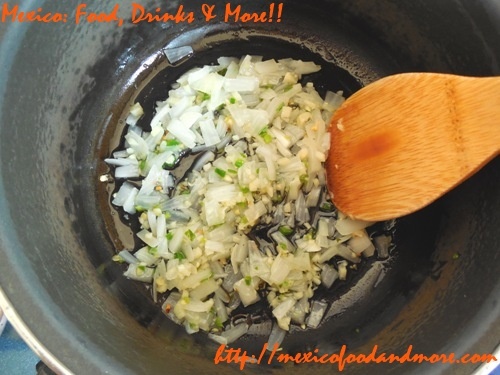 Add the onion, garlic, and serrano pepper and sauté, stirring occasionally until tender, 3-5 minutes. Add the hot water and chicken bouillon powder. Add the canned beans, stir to mix thoroughly, and heat over medium-low until the beans start to simmer. Cook another minute or so, making sure the beans are of a consistency that will be easy to spread on the sopes. Set the beans aside. **Note: If you can purchase pre-made sopes in your area, that’s the easiest method and you can proceed with the steps below. If you’d like to make your own sopes, you’ll need to buy Maseca Cornmeal and make the masa (cornmeal dough) according to the directions on the package. 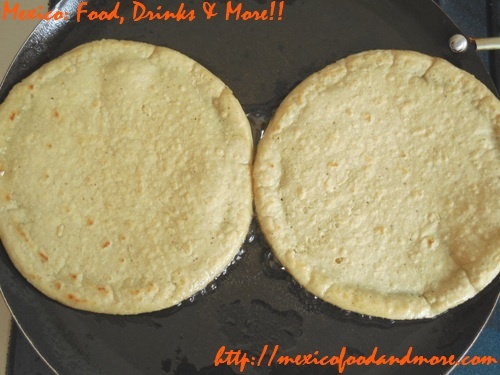 Once you’ve made the masa, roll a small ball of the dough in your hands, place it on a plastic bag or wax paper on the counter and flatten with your hand. You’ll probably need to use a rolling pin (or, preferably, a tortilla press) to get it a little thinner and rounder – it should be a little thicker than a tortilla. Heat a lightly-greased griddle or skillet over medium-high heat, then place the flattened dough on it, flipping frequently until it’s lightly golden. On the top side of the tortilla, pinch the edges with your thumb and index finger or use a spoon to form edges all around the tortilla. Continue heating and flipping until the sope is golden and slightly crispy, then add the beans and other toppings as indicated below. 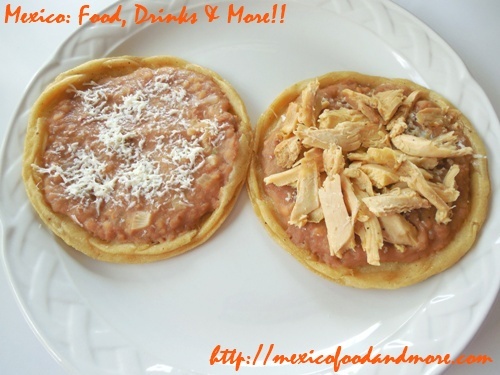 If using pre-made sopes, lightly grease a griddle or skillet and set it over medium heat. 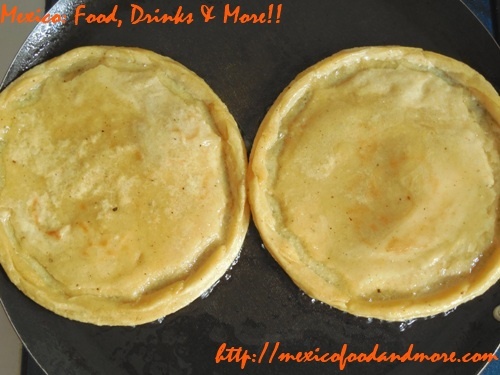 Once it’s hot, add two sopes and heat until lightly golden underneath, 2 to 3 minutes. 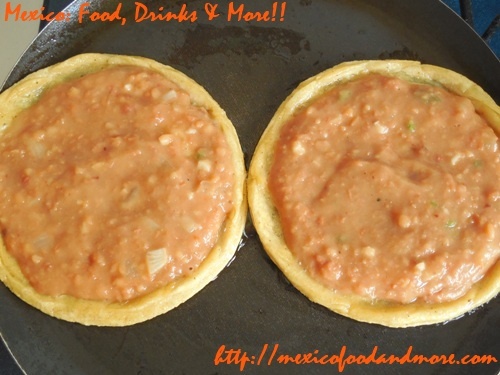 Spread a layer of beans on top of the sopes and heat until the beans are fairly hot. Remove from heat and add toppings as desired. For a basic sope, add some shredded cotija cheese. For a heartier sope, add some shredded cotija cheese and chicken. For a traditional sope, add sour cream and salsa verde to the basic sope. 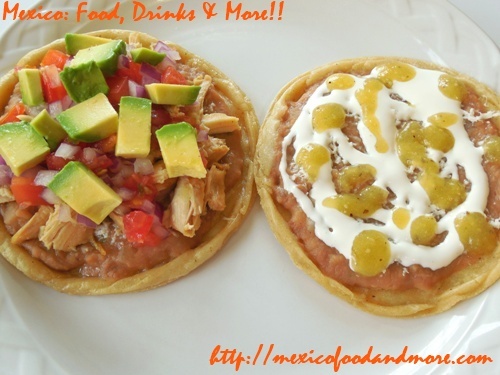 To the sope topped with shredded chicken, add some pico de gallo and avocado (as shown in the first photo). The great thing about sopes is you can top them with whatever sounds good to you, so experiment with other toppings and have fun! 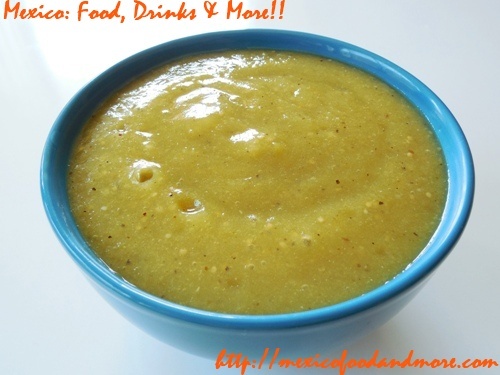 This entry is filed under Appetizers, Breakfast, Chicken, Dinner, Meat Recipes, Salsas, Side Dishes, Traditional Dishes. You can follow any responses to this entry through the RSS 2.0 feed. You can leave a response, or trackback from your own site.